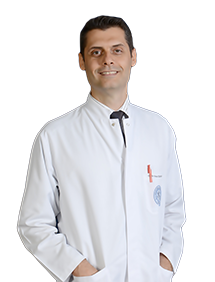 Associate Professor Doctor Kemal ÖZAKSAR Born in 1975 in Izmir. Since 2004 he has been working at EMOT Hospital. Controversy in the diagnosis of pediatric terrible triad elbow fracture dislocation. J Hand Surg Am. 2014 Oct;39(10):2121-2. doi: 10.1016/j.jhsa.2014.06.138. No abstract available. Toros T, Sügün TS, Özaksar K.
Injury. 2013 Mar;44(3):336-9. doi: 10.1016/j.injury.2013.01.008. Epub 2013 Jan 18. J Hand Surg Am. 2012 Dec;37(12):2646-7; author reply 2647. doi: 10.1016/j.jhsa.2012.10.018. No abstract available. J Hand Surg Eur Vol. 2011 May;36(4):320-4. doi: 10.1177/1753193410392869. Epub 2011 Jan 31. J Hand Surg Eur Vol. 2011 Mar;36(3):179-84. doi: 10.1177/1753193410385614. Epub 2010 Nov 2. Sugun TS, Ozaksar K, Ada S, Kul F, Ozerkan F, Kaplan I, Ademoğlu Y, Kayalar M, Bal E, Toros T, Bora A.
Acta Orthop Traumatol Turc. 2009 Jan-Feb;43(1):35-41. doi: 10.3944/AOTT.2009.035. Turkish. Acta Orthop Traumatol Turc. 2007;41(3):249-52. Turkish. [Glomus tumors of the finger: a report on 60 cases]. Ozdemir O, Coşkunol E, Ozalp T, Ozaksar K.
Acta Orthop Traumatol Turc. 2003;37(3):244-8. Turkish.